You keep ministry momentum moving when you support the ministry of our stateside missionaries: our Lifeline staff who dedicate their lives 24/7 to restoring hope around the world. Your prayers and donations enable our staff to be your hands and feet, as God's love is shared through Lifeline's ministry communities! My experience with Lifeline Christian Mission began in 2001 when my husband and I ventured on our first international mission trip to Haiti for our one year anniversary. That trip turned our world upside down! We met a malnourished 5 year old boy named Rony, whom we decided to sponsor and, 16 years later, he is still in our lives. 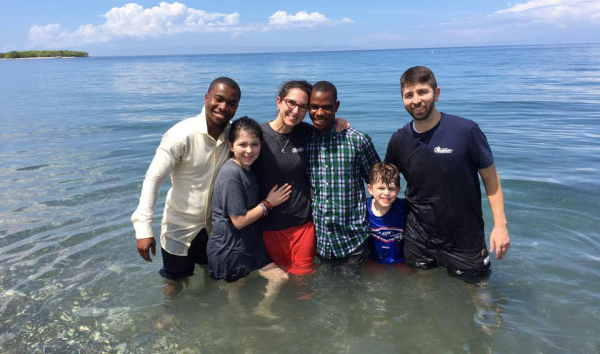 In fact, we recently traveled to Haiti with our children; they met their Haitian brothers for the first time and we baptized Rony and our daughter Avery in the ocean on the same day! 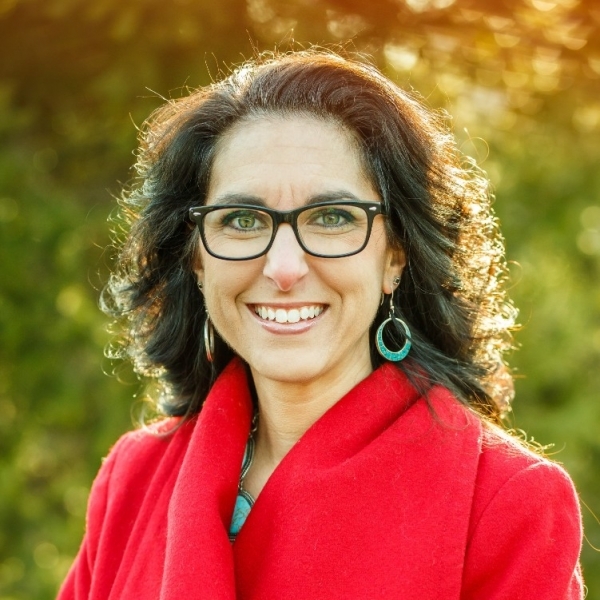 God’s call brought me to serve at Lifeline after 15 years of advocating for child sponsorship in our churches, and our love for the families we've encountered through sponsorship. My husband and I have served in church ministry our entire married lives and we love it. We love people, we love building relationships, we love getting folks connected to the church and opening their eyes to how they can use their giftedness to serve others. We don't have to serve; we GET to serve. And we feel honored to do so after all that God has done for us. God called me to this role specifically through the Sight and Sound musical, Jonah. Just as Jonah did not want to go to Ninevah, we did not want to come to Ohio (we preferred somewhere warmer!). But God showed me through that performance that He had a purpose and a plan for me at Lifeline. Little did I know all that it entailed, but I hope that I am being used in a way that is honoring to Him and helping the ministry grow. I have learned that my work is helping our field staff do ministry better. If we didn't accomplish what was needed here, then it would be very difficult for our teachers, pastors, and staff to serve the children in field as best as they are able. Your support is making a difference, as we all work together to enhance the Kingdom. Thank you! I love my crazy family...we are way too busy and involved, but we do it together. We love to serve others. We love to make our home a place for ministry. Our kids love sports (they take after their dad) and we attend lots of practices/games, but it's time together. I love spending time with friends over a great cup of coffee. I love being crafty/upcycling projects and bringing unsuspected joy to people's lives. I laugh loud, cry hard and hurt deeply. I believe the best in things. I can be boldly honest in love...the older I get, the more I feel there's no time to waste...speak life! I cry when I pray. I have a hard time remembering things about myself, which is why this is so challenging for me and I have to ask others to help remind me of things. I can whistle really loudly which comes in handy in large, rowdy groups! I love to speak in front of large crowds. I love to sing on the worship team at church. I say funny things when I'm shocked or surprised like "holy buckets!" or "for the love of Pete Sampras!" (no one even remembers Pete Sampras). When I'm telling a story or am upset about something my Jersey accent comes out. My jewelry game is always on point! I LOVE THRIFT SHOPPING/GARAGE SALING! I like to make friends on airplanes! I never meet a stranger. I played collegiate tennis for Geneva College and coached Women's tennis at Malone College. My goal would be to see that every child finds a sponsor who will love them and help lead them to Jesus.